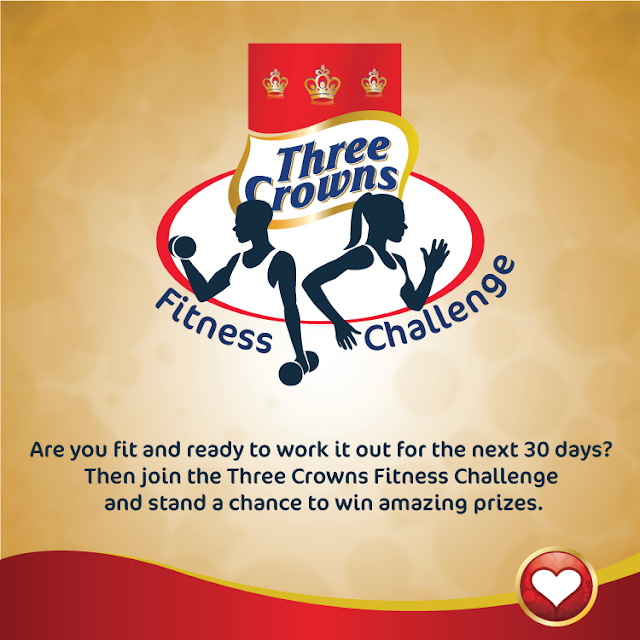 Do you want to be part of the #3C30DayFitnessChallenge? 2. 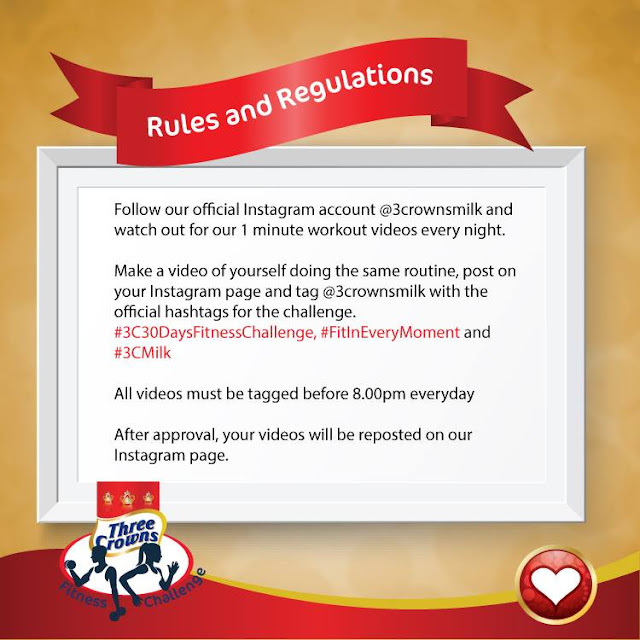 Follow our official instagram account @3crownsmilk and watchout for our 1 minute workout videos every night. 3. Make a video of yourself doing the same routine, post on your Instagram page and tag @3crownsmilk with the official Tags for the Challenge. 5. After Approval your Video will be reposted on 3Crowns Milk Instagram Page.